The MG series consists of inclined liquid column manometers designed for use in applications such as air treatment, air conditioning, dust removal, heating, etc. 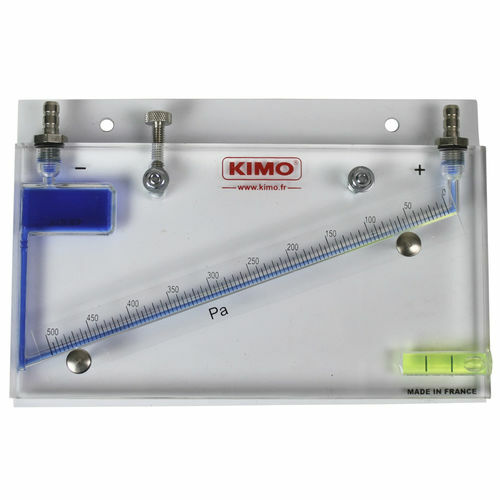 A measurement range of 0-20mm, 0-50mm and 0-80mm is offered. The slide strip can be moved to allow zero adjustment and an integrated spirit level enables horizontal adjustment. Thanks to a safety reservoir, momentaneous scale overshooting is enabled. 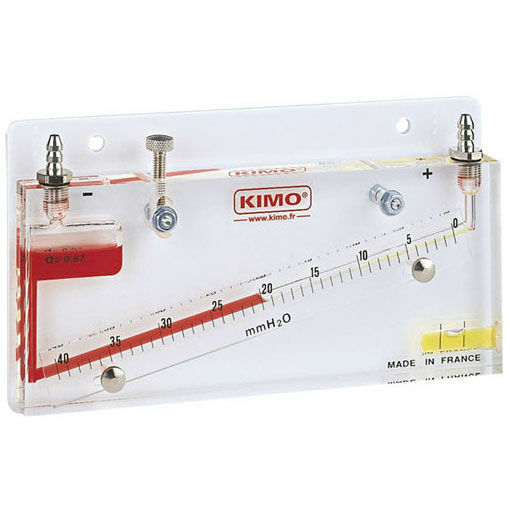 These manometers come with screws, rawplugs, white PVC support, AWS.10 liquid and 487 connectors.